Lately I have been seeing a lot of cute monogrammed craft ideas. 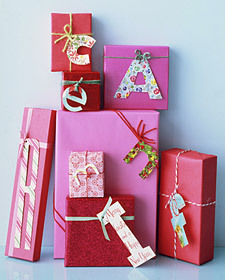 I love the idea of personalizing hand made gifts! Quilted letters: These blocks say "live" and "love." I'm a very straight lines kind of girl, so this styles makes me a little nervous, but when I see other people pull it off so well, it makes me want to give it a shot! When we graduated from graduate school, our office manager, Kathryn, gave the girls each a monogrammed mug from Anthropologie. We currently have a "G" and an "A" mug living in our cupboard. Okay- maybe they aren't hand made, but they are pretty cute! Fill them with some home made candy or wrap them in a hand sewn bag and it still counts as a hand made gift in my book- or maybe semi-homemade... Sandra Lee would approve. 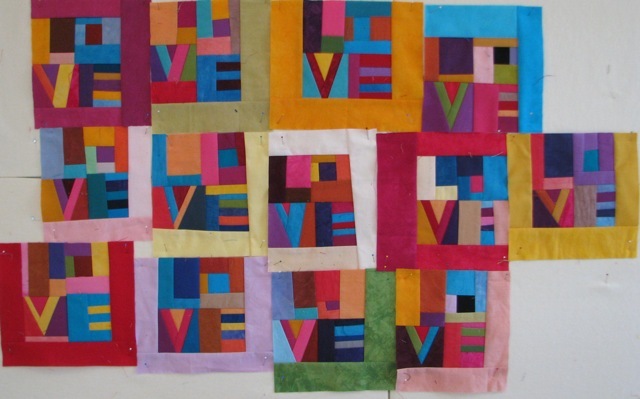 Of course I should have known that Martha would pull through with many monogrammed crafts. 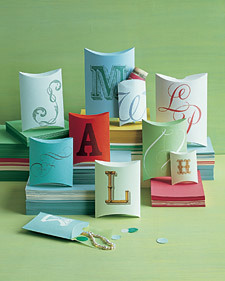 On marthastewart.com, there are free downloadable monogrammed labels, boxes, party favors, napkins, pillow cases, etc.